“Once taken hostage, prisoners are subject to long periods of physical abuse and torture, ransoms demanded and prisoners killed if release is not paid for,” said Julian. “The location of these camps is known and it’s reported that currently around 200 Eritrean hostages are being held in northeast Sinai. Julian hopes the UK delegation can raise the issue with Egypt’s new government so that it can rescue victims of trafficking and end the abuse. “It is paramount that combating human trafficking and torture in Sinai is seen as a vital issue to be raised by this delegation,” said Julian. “Migrants and asylum seekers are suffering horrific abuse at the hands of people purporting to help lead them to safety. 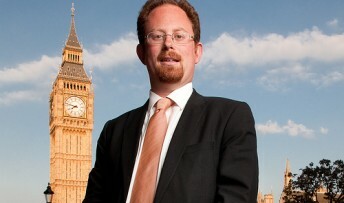 We are grateful to Julian Huppert MP for taking forward this important human rights issue. The René Cassin organisation appreciates your commitment to ending torture and human trafficking in the Sinai. Many thanks Julian Huppert MP for taking a moral stance against the human trafficking, modern slavery and organ theft in the Sinai. This is a despicable activity and a disgrace for societies which describe themselves as civilised. I hope that you will continue to campaign against this until a tangible action is taken to Stop it.